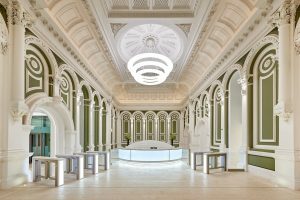 PRODUCT: C4 Security Portal SECTOR: Higher Education CLIENT: University of Liverpool LOCATION: Liverpool The University of Liverpool is committed to providing students, staff and members of the local communities with high quality sports facilities and opportunities to get active. In the last couple of years £4.5 million has been invested to improve facilities. This investment included a new gym at the Greenbank student village. 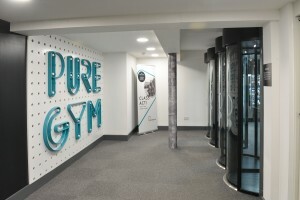 It has a state-of-the-art fitness suite with the latest Cybex equipment and free weights, a studio with spin classes and virtual Les Mills Group X classes. Facilities also include outdoor 5-a-side 3G pitches and multi-sports courts to play tennis, netball and basketball. 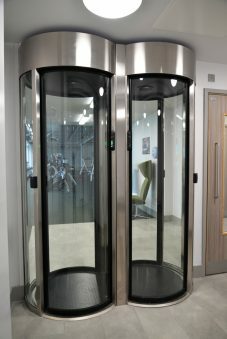 To ensure that only authorised users could access the gym and that user and gym equipment were protected, a high security entrance control solution was required. 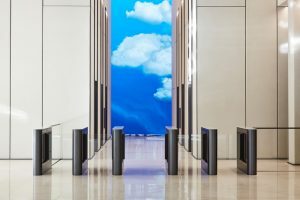 With years of experience delivering high security entrance control solutions for the gym and leisure sector, Meesons were approached to advise on a solution. 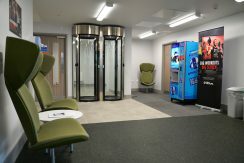 The University wanted to control access into the gym on an unmanned basis, with staff only present in the gym for a set number of hours per day. Therefore a robust solution was required to ensure only students and paying members of the public could access the facilities when staff were not present. 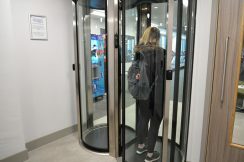 Meesons advised on the installation of a C4 double entry Security Portal to provide unmanned access, protecting gym users and ensuring only authorised users were able to gain access. Being able to ensure that only paid members could access the gym also allows the University to protect themselves from any loss in revenue. 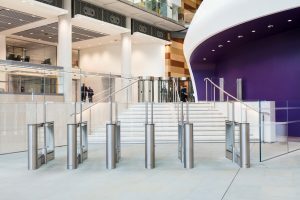 Meesons C4 Security Portal is access control neutral and was able to seamlessly integrate with the University’s current access control system. Rescue push buttons were provided inside the portals, enabling users to freely exit the portal by the last opened door, therefore not compromising security. A service mode keyswitch was also provided to make operating and cleaning the C4 Security Portal as easy as possible. 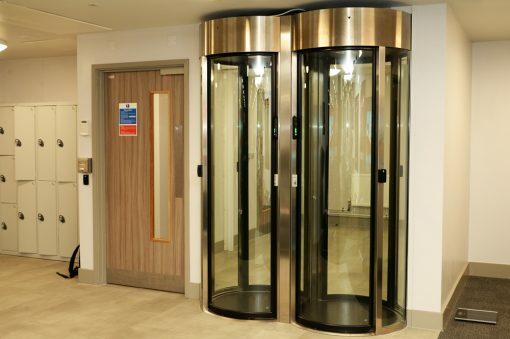 Due to the Security Portals internal location, Meesons supplied the C4 Security Portal in a modular kit design, allowing the unit to be easily moved into the building in sections and built up in the space required. 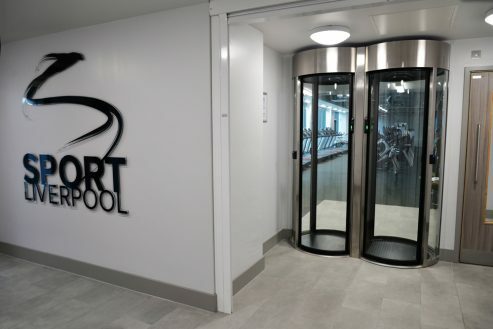 At the clients request the C4 Security Portal was provided in a premium brushed stainless steel cladding to complement the state of the art facilities of the gym. Since the installation the Security Portal has worked seamlessly with the University's access control system.